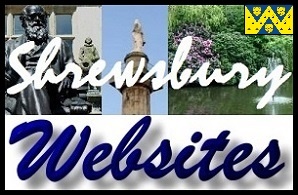 The Shrewsbury Chess web page is provided as a free service for the people of Shrewsbury, Shropshire. All that we ask in return, is that listed Shrewsbury Chess Teams, Shrewsbury Chess Clubs & Shrewsbury Chess Leagues place a link on their website back to us and hopefully mention us on their league fixtures & other paperwork. Shropshire Chess Club - Chess Team based in Church Stretton, Shropshire. Address; Church Stretton Chess Club, 2 Essex Road, Church Stretton, Shropshire. Shropshire Chess Club - Chess Team based in Market Drayton, Shropshire. Address; Market Drayton Chess Club, Stafford Court Hotel, Stafford Street, Market Drayton, Shropshire. TF9 1HY. Market Drayton Chess Club is based at the Stafford Court Hotel (Shrewsbury Pub). No other details are currently available. 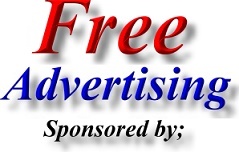 Telephone Number; Market Drayton (01630) 657978. Chess club competing in Shropshire Chess League and based in Oswestry. Address; Oswestry Chess Club, The Oswestrian, Festival Square, English Walls. 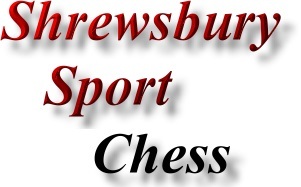 Shropshire Chess Club - Chess Team based in Shrewsbury, Shropshire. Address; Shrewsbury Chess Club, Royal Shrewsbury Hospital, Welshpool Road, Shelton, Shrewsbury, Shropshire. SY3 8BB. Telephone Number; Shrewsbury (01743) 821220. Shropshire Chess Team - Chess Club based in Shrewsbury, Shropshire. Address; Telepost Chess Club, The Telepost Postal Social Club, Railway Lane, Abbey Foregate, Shrewsbury. SY2 6BT. As a member of the Telepost Club, you will also have access to other activities and facilities within a friendly, well run organisation. Telepost Club activities include Chess, Crown Green Bowls (two greens), Ladies Darts, Radio Hams, Pigeon Racing, Pool, Dominoes, and Saturday night entertainment. In addition the Telepost Club also has premises in Town Walls, Shrewsbury where you will find Snooker tables, Badminton, Bar and TV lounge. Governing Body for Chess Clubs and Chess Leagues in Shrewsbury - Shropshire - England. Governing Body for Chess Clubs and Chess Leagues in Shrewsbury - Shropshire. Shropshire Chess Association is the Governing Body for Chess Clubs and Chess Leagues in Shrewsbury and Shropshire. Contact details for Shropshire Chess Association can be found below. The Shropshire Chess Association is also the governing body for Telford Chess Clubs.